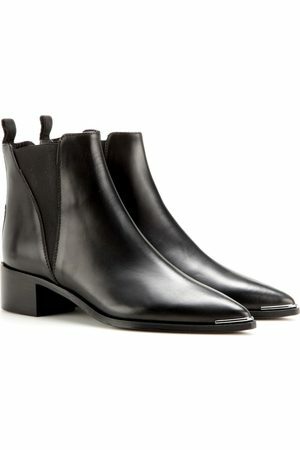 These heeled ankle boots embody the refined, conceptual aesthetic of fashion house Acne. They feature the slender lines showcased on many of the Swedish brand's shoes. These boots are perfectly adapted to active, urban lifestyles as they slip on like socks and adjust to snugly fit your feet.